Greek police say they have arrested three people suspected of robbing the Olympia museum in February and recovered the stolen artifacts. Police in Greece say they have recovered priceless artifacts stolen from the Olympia museum earlier this year and arrested three men accused of orchestrating the heist. The suspects were arrested yesterday in Patras, western Greece, and led police to the stolen goods, officials announced today. 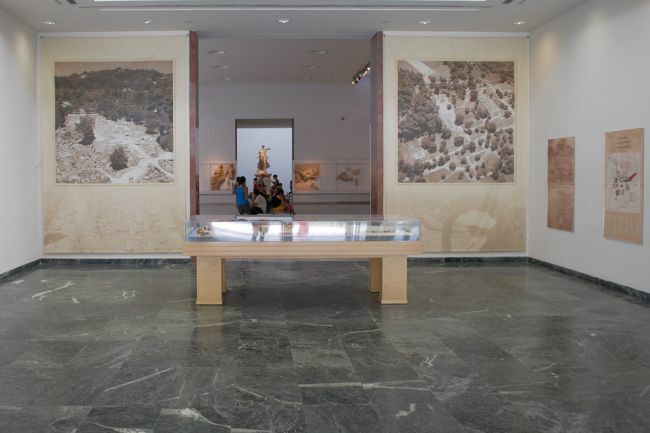 Two armed thieves took dozens of ancient objects from the Archaeological Museum of Olympia in February, after overpowering a lone security guard. Nine months later, the suspects were caught in a sting operation. According to the Associated Press, an undercover police officer posed as a collector and arranged a meeting with one of the men, who tried to sell him the oldest of the antiquities: a 3,200-year-old golden seal-ring, for which he wanted €1.5 million ($1.3 million). The man then led police to two accomplices and told them where to find the rest of their hoard. All 76 stolen items were recovered, many of them found buried in a field just two miles from the museum, the AP said. Greek authorities hailed the operation as a major success. “Despite the difficult economic situation we are not being lax on security issues, especially over our cultural heritage,” Reuters cited Public Order Minister Nikos Dendias as saying. The museum robbery – which came just a month after masterpieces by Picasso and Mondrian were stolen from the National Gallery in Athens – was considered a major embarrassment, even prompting the culture minister at the time to offer his resignation, Agence France Presse said. 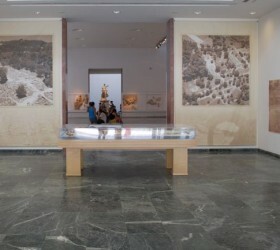 It was also one of the triggers for a campaign for international help protecting Greece’s patrimony. The Association of Greek Archaeologists says cuts in government spending have forced many cultural institutions to lay off their security guards, leaving some of the country’s most precious heritage vulnerable to thieves.